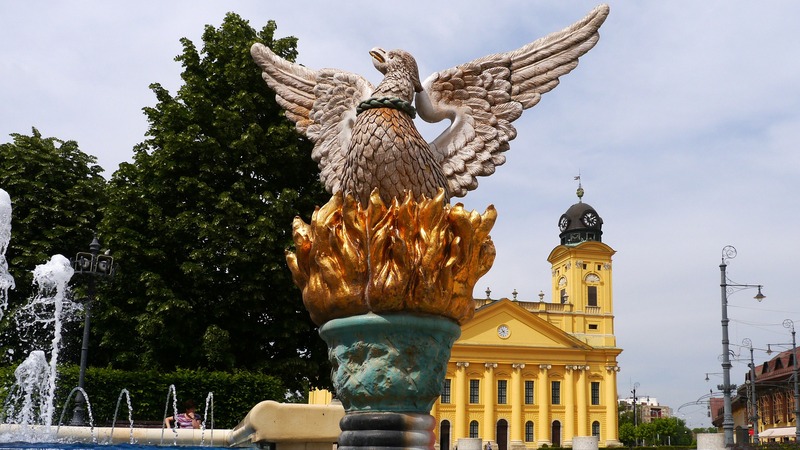 Veszprém, cited usually as “the city of Queens”, is one of the oldest Hungarian towns. Embraced by the Lake Balaton and the Bakony hills, it is the economic and cultural centre of the region. Culture plays an important role in the life of the city which is at the same time old and new, calm, but vital. However, Veszprém seeks to go beyond the boundaries of its high-quality artistic festivals, finding its place on the cultural map of Europe. This endeavour is supported by the city’s application to the European Capital of Culture 2023 title as well as by EU funded projects – both activities are being implemented in cooperation with HETFA. Implementation of the international project SporTown – Intergenerational Debate on Sport Specific Utilization of Urban Spaces, led by the city of Veszprém, has begun in February. Municipalities and civil organizations active in the field of youth from Hungary, Germany, Slovakia, Slovenia, Poland and the candidate country Serbia are participating in the project which aims to strengthen the concept of “playground and moving city”. As part of the project, local discussions, partner meetings and workshops are organized in partner cities. During these events, young participants gain insight into the world of decision-makers; they exchange good practices and discuss common challenges and opportunities in the field of city development. International workshops in Veszprém are planned to be attended by the European Commissioner Tibor Navracsics responsible for Education, Culture, Youth and Sport and realized with the assistance of the International Office of HETFA. During the implementation of the project, all partners seek to find buildings, spaces and venues that can be converted into community spaces and develop a plan in order to implement this aim. Before the closing of the project, the establishment of Youth Councils is also envisaged in partner towns formalizing the subsequent dialogue between the youth and policy-makers. The SporTown project, implemented under Key Action 3 (Structured Dialogue – Meetings between young people and decision-makers in the youth field) of the Erasmus+ Programme, is well-suited for the Veszprém’s endeavour to be actively involved in European cultural processes and to strengthen its international relations. This is a key priority now, when Veszprém is qualified for the 2nd round of the European Capital of Culture 2023 call. The title European Capital of Culture (ECoC) represents one of the most prominent cultural events in Europe. The cultural capitals programme of the European Union is aimed at exploring and developing European culture and enhancing European identity. The first European Capital of Culture was Athens in 1985; since then around 60 cities have hosted the title. After 2010, when Pécs was chosen as European Capital of Culture, in 2023 a Hungarian city can boast the prestigious title again. The applications of the seven Hungarian candidate cities were evaluated by a committee of 12 independent cultural experts; ten of them are delegated by EU institutions, while the other two members are designated by the Hungarian Ministry of Human Resources. Out of the seven Hungarian applicant cities, Debrecen, Győr and Veszprém can continue the competition after the first round of evaluation. They are among the most important cities in Hungary from cultural, economic and administrative aspects; of course following Budapest. However, on a European scale they are considered small and medium sized cities. This type of settlements faces a particular crisis across Europe, as capitals and big cities are the centres of technological and economic development and transformation of the 21st century. Thus the stake is great: the winner city will not only get the opportunity to be successfully involved in the European cultural competition but also has the chance to reinterpret itself and become more inclusive, liveable and attractive for today’s young people. The ECoC title signifies a long-term commitment as the whole preparation process can cover up to 6-7 years. However, it is worth all the effort, money, time and energy as if a city is well-prepared for this challenge. Cultural and creative industries can become the main drivers of social and economic development. From this point of view, applications can be of outstanding importance as they offer useful ideas for organizing the future of cities. The ECoC title also provides a great deal of opportunities to extend and tighten international cooperation. However, a cultural capital can engage permanently into European cultural-artistic networks only if it uses the title-driven attention and development resources for achieving goals for which the city struggles anyway. It is worth developing a concept that can be used even if the city does not win the title. For instance, the application of Veszprém incorporates the ECoC program into the framework of the city’s cultural strategy for 2018-2030. It identifies six major themes, including clever heritage protection, enhancing the community building power of culture and boosting creative industry. Most of the planned developments will be realized regardless of the success of the project, for example, the creation of a creative quarter in the Aranyos valley of Veszprém and the formation of a new cultural quarter in the outskirts of Veszprém. The city applies together with the Balaton region and the Bakony region; this unique approach offers many new opportunities and close cooperation within the region. The aim of Debrecen – that applies together with Tokaj – is to be a catalyst of the city’s cultural diversity and international dialogues. For example, they would like to bring Hungarian and foreign students living in the city closer to each other through arts and gastronomic programs. During the ECoC year, a number of initiatives will be launched in order to establish international exchanges and cultural partnerships. The basic idea behind the concept of Győr is the flow. Based on the flow theory of Mihály Csíkszentmihályi, the city aims to create a common flow experience where local people can feel the power of the community. The application of Győr strives to ensure that the audience will be not only a passive recipient, but also an active participant of the ECoC programs. 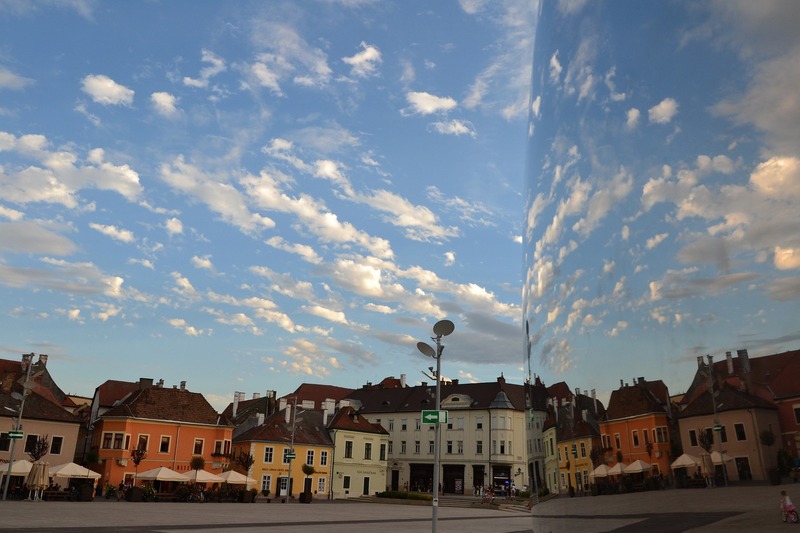 The ambition and ideas of Debrecen, Győr and Veszprém are different; however, there is a common feature: all of them seek to find their place on the cultural map of Europe and are well prepared and motivated to do for it. Their applications, which are qualified for the 2nd round of the ECoC 2023 call, can be further developed until the end of 2018; the final winner will be announced at the beginning of 2019.